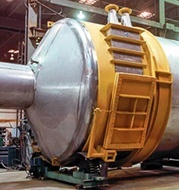 Whether it is cyclone or gas liquid separators, Paul Mueller Company offers top-of-the-line equipment for optimal chemical separation processes. 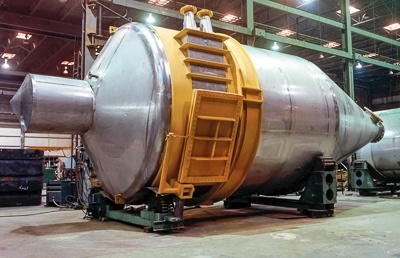 Our separators efficiently separate and refine mixtures for a variety of industries and applications, and we have the experience and expertise to back our industrial chemical processing equipment. 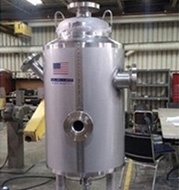 We have an experienced team of fabricators, engineers, and craftsmen that understands the unique challenges of constructing chemical processing products and their unique component parts, and we also offer detailed engineered 3D models of our equipment so that you know exactly what you are getting. No matter what your application is, we specialize in understanding specifically what you need so that we can deliver with precision and quality. It is one part of your process where we can help check the box quickly. Our storage solutions keep your ingredients secure and accessible. When your business is moving at the speed of light, we can help you keep up with demand and upgrade to any size. Handling the heating intricacies for all your ingredient needs.